What strikes you when you think of exercise? Running, jumping, skipping, and anything that keeps you up and moving. What if I said you could exercise even while seated? Exercise that is efficient and great for your health. Wondering what that could be? We won’t keep you waiting anymore. 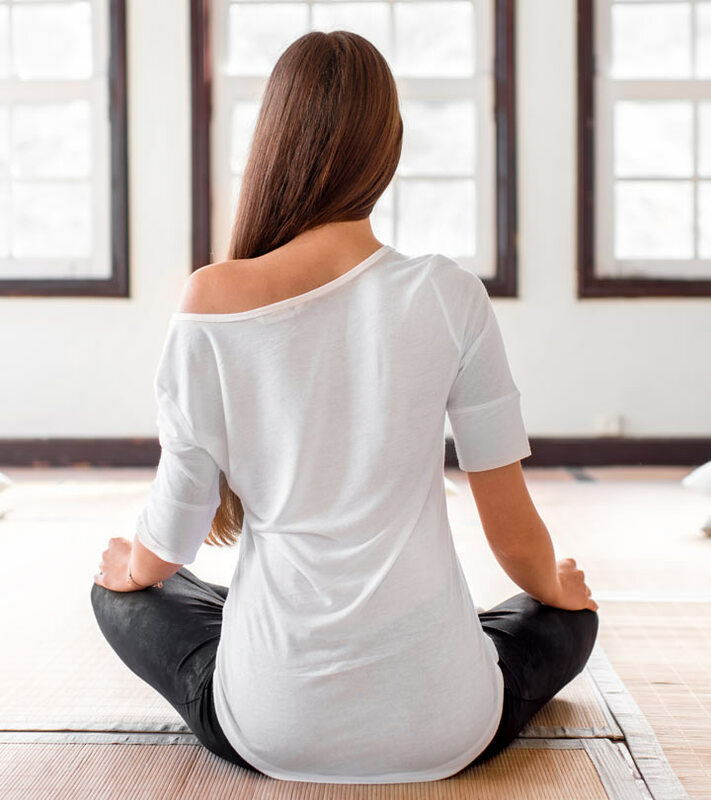 Check out these 7 seated yoga poses that will work wonders on your health. You’ll know what I am talking about. Before that, let’s learn about seated yoga. Yoga asanas are a combination of sitting, standing, and lying down poses. Each set affects a particular section of the body and has its unique benefits. Seated yoga asanas are variations of asanas that need to be performed by sitting down on the ground. They are ideal for flexibility and best for those just beginning to learn yoga as they are easily adaptable to any level of stamina. Let’s take a look at some of them below. Sukhasana or the Easy Pose is great for beginners. It simple and easy as the name suggests. It is also a pose to sit in for meditation. Therefore, practicing it in the morning works best. Do it on an empty stomach if you plan to follow it up with other asanas. Sukhasana is a beginner level Vinyasa yoga asana. Sit in it as long as it is comfortable. Sukhasana lengthens your back and broadens your collarbones. It calms your mind and cures mental tiredness. It also improves body posture and massages your calf muscles. The pose helps you feel grounded and less stressed and gives a sense of stillness and tranquility. 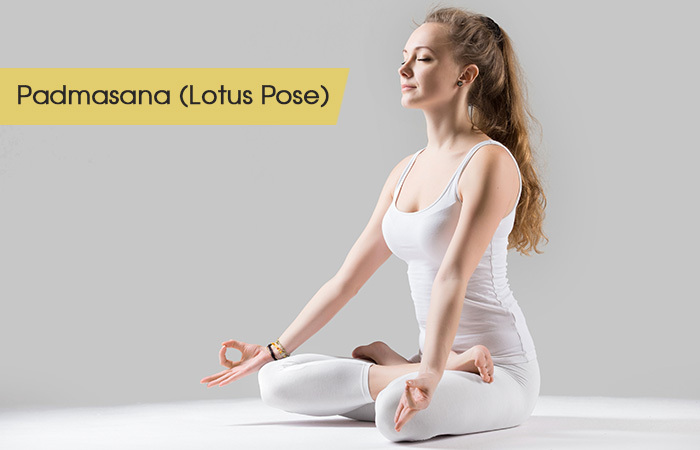 Padmasana or the Lotus Pose is an asana named after the lotus, an auspicious symbol. In many cultures, the lotus stands for positive aspects, and that certainly is what the asana is based on. Practice Padmasana in the morning or evening, not necessarily on an empty stomach. It is an intermediate level Hatha yoga asana. Hold it for 1 to 5 minutes. Padmasana stretches your ankles and knees. It increases your attention span and keeps your spine straight. It eases out menstrual problems and restores the energy levels. Sukhasana stimulates your pelvis and bladder and keeps your joints and ligaments flexible. 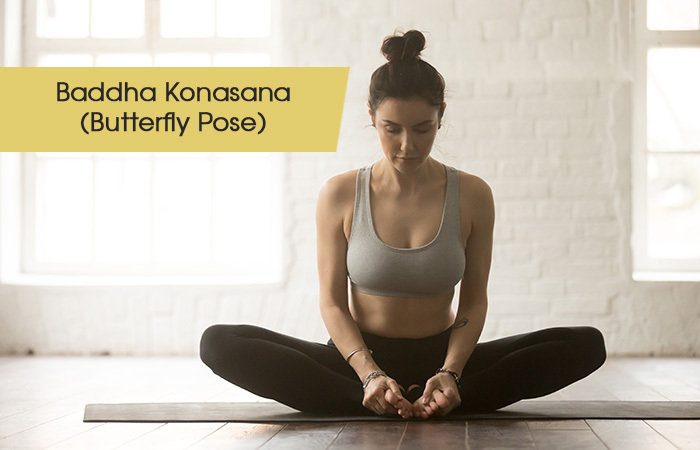 Baddha Konasana or the Butterfly Pose is an asana that looks like a butterfly flapping its wings. It also looks similar to a cobbler at work. Hence, it is also called the Cobbler Pose. Practice Baddha Konasana in the mornings or evenings on an empty stomach. Flap away and hold the pose for 1 to 5 minutes. Baddha Konasana stimulates the prostate gland and kidneys. It improves blood circulation, stretches the knees, and relieves mild depression. The pose soothes sciatica and relieves the symptoms of menopause. It is therapeutic for asthma and helps ease childbirth. ‘Vajra’ in Sanskrit means diamond. 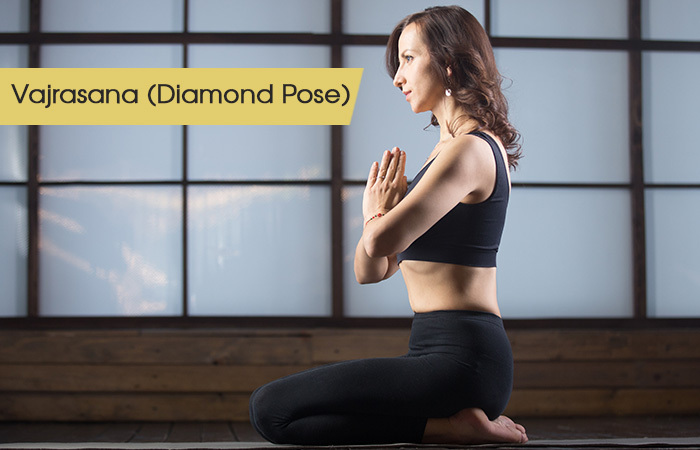 Hence, another name for Vajrasana is the Diamond Pose. Practicing the Vajrasana helps you become as strong as a diamond. The pose works best after having a meal, unlike many other asanas. It is a beginner level Vinyasa yoga asana. Hold it for 5 to 10 minutes. Vajrasana aids digestion and reduces the fat in your hips. It relaxes your body and helps fight stomach disorders. It cures urinary problems and helps the lower body to become flexible. The pose tones your thighs and cures joint pains. It also serves as a painkiller for arthritis patients. Bharadvaj is the name of one of the seven greatest seers of India. The asana gets its name from him. Practice it in the morning on an empty stomach or in the evening ensuring a gap of 4 to 6 hours from your last meal. Bharadvajasana is an intermediate level Hatha yoga asana. Hold it for 30 to 60 seconds. Bharadvajasana stretches your torso and stimulates the abdominal organs. It regulates metabolism and detoxifies the organs. It also relieves lower back pain and neck pain. The pose keeps you away from negativity and helps you to go through your day in a graceful manner. Ardha Matsyendrasana is also called the Half Lord Of the Fishes Pose as it means that in Sanskrit. 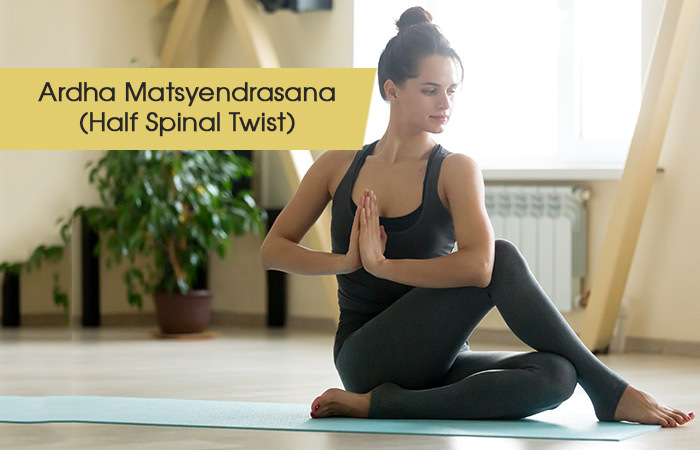 This seated spinal twist works best when practiced in the morning on an empty stomach and clean bowels. Ardha Matsyendrasana is a beginner level Hatha yoga asana. Hold it for 30 to 60 seconds. Ardha Matsyendrasana tones your abs, energizes your spine, and opens up your neck and shoulders. It cleanses your internal organs and eliminates waste. The pose also stimulates your liver and lungs. It releases extra heat from the organs and increases oxygen supply to the lungs. Paschimottanasana or the Seated Forward Bend is an asana that looks seemingly comfortable but is challenging to hold. Practice it in the morning on an empty stomach and clean bowels or in the evening after a gap of 4 to 6 hours from your last meal. 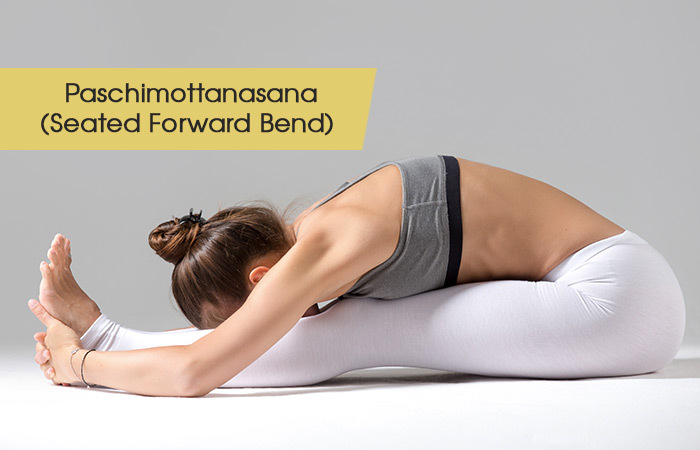 Paschimottanasana is a basic level Hatha yoga asana. Hold it for 30 to 60 seconds. Paschimottanasana is a stress reliever. It reduces abdominal fat and eliminates irritability and anger. The pose improves the flexibility of the spine and balances the menstrual cycle. It cures stomach pain and body weakness and protects you from diabetes. Now, let’s answer some commonly asked questions regarding yoga. Do I have to turn vegetarian to practice yoga? Yoga believes in the concept of ahimsa, but the choice is left open to the practitioner. 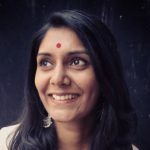 What do I need to begin a yoga practice? Your complete focus and concentration and maybe a water bottle and a yoga mat are all you need to start practice. Instead of strenuous activity, if you want to sit in a corner and peacefully exercise, then seated yoga asanas are the best option for you. These asanas aren’t as easy as they look, and they have a profound effect on various functions of the body. So, try the above and tell us how the experience was.